A brand identity represents the values, services, ideas and personality of an organization. It is designed to increase recognition and build perceptions of the organization in its chosen marketplace. These identity standards need to be graphically represented and usually includes elements such as logos and supporting graphics, color palette, typography and photography choices and can, within its guidelines, use examples to visualize how a brand should be depicted across various different visual media. Wilberforce needs to manage how its brand is represented across all visual media in various different situations. 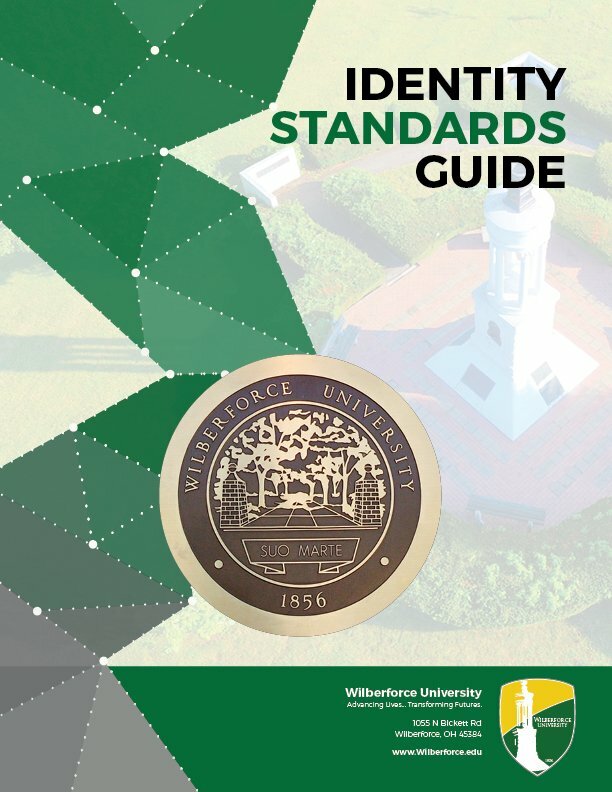 The Identity Standards guideline system in this document has been created to fulfill this purpose and the guidelines herein explain how to correctly depict and embody our brand ethos consistently across different applications and in various markets to maintain the integrity of Wilberforce University.